Good news DoctorDonna fans! 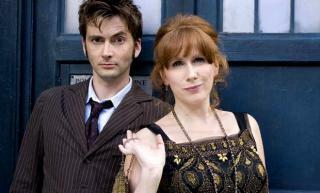 Former Doctor Who companion Catherine Tate and ex-Doctor David Tennant are aiming to reunite for new projects. “Working with David is the best," said Tate of her former co-star. "We get on so well and it's just always so much fun. It’s just that something clicked when we first started working together from day one on The Runaway Bride and hopefully will continue to. 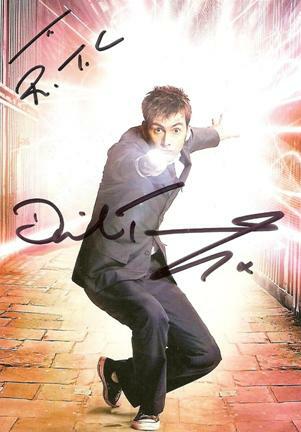 Along with Doctor Who, Tennant and Tate appeared together onstage in a 2011 production of Much Ado About Nothing, and Tennant made occasional cameos in sketches for the Catherine Tate Show. But bad news DoctorDonna fans! This doesn’t mean the character of Donna Noble will reappear on Doctor Who. Tate is referring to Donna’s tragic exit from the programme, in which the Doctor was forced to wipe her time in the Tardis from her memory in 2008’s Journey’s End. Noble had absorbed the Doctor’s vast knowledge as a side-effect of his partial regeneration. This produced a half-human Doctor clone and gave Donna the super-intelligence she needed to defeat the Daleks, but threatened to overwhelm her fragile human brain. Hence the memory wipe. Wait, it goes on. Donna has previously come close to remembering her adventures in The End of Time, David Tennant’s last episode, when the Master duplicated himself onto every human on Earth. Yes, clones again. In that instance, her brain gave off a defensive blast of psychic energy and she promptly fell asleep. Conclusion? Doctor Who is ridiculous and Donna seems to be trapped in blissful ignorance. But what else did we learn from the web chat? Well, Tate thinks new Doctor Peter Capaldi is “a fantastic actor, and his wit and intelligence shines” ...and reveals that she hates tea and recommends a vinyl roof on garden sheds.